The Mortella (The Myrtle), is an old quarry of hard and shining stones transformed into plants and flowers that form a charming sub-tropical garden. La Mortella is located in the villa that William Walton and Lady Susanna who created it on the ancient lava “Marecocco”. La Mortella takes the name of myrtle, a regal and low plant, delicate and strong, fragrant and vigorous, perfect for integration into the Mediterranean environment. Some of the plants at the entrance represent the emblem and the guard of the great English artist’s house. As soon as you come in holding a small guide that presents a map of the garden and its precious plants, you become immediately involved in a dreamy atmosphere. The strong laurel scents and the delicate aromas of jasmine from the incredible blue bloom welcome you and lead to the area of ​​the pond created thanks to the idea of ​​Russel page, sensitivity of Lady Susanna and the intrinsic force of Ischitan nature. The garden was attracted by a star-studded list of celebrities such as Sir Laurence Olivier, Vivien Leigh and Maria Callas and now it is opened to everyone who wants to enjoy its beauty. In 1956 the formers of the garden, William and Susana Walton In 1956, decided to buy their new property at La Mortella. they called in landscape expert, Russell Page, who transformed the stone quarry into a tropical garden paradise with an extraordinary and fascinating complex of rare and exotic plantlife. It hosts many important collections of rare plants such as giant water lilies, orchids, palm trees, cycads, tree ferns. Sir William Walton was one of the most important classical composers of his time, and it is to this that the foundation owes its musical legacy. Moreover, chamber music concerts are held at la Mortella on the weekends in collaboration with several italian and international music schools, who perform around 70 concerts every year. On the highest part of the garden there is an open-air Greek theatre surrounded by China roses and fragrant herbs where throughout the summer audiences are able to enjoy the Youth Orchestra concerts. The open-air Greek theatre has a breathtaking view on the Bay of Forio. Today La Mortella belongs to Fondazione William Walton La Mortella, that runs the Garden according to the exact instructions left by Lady Walton as it was a mission of a lifetime to her. 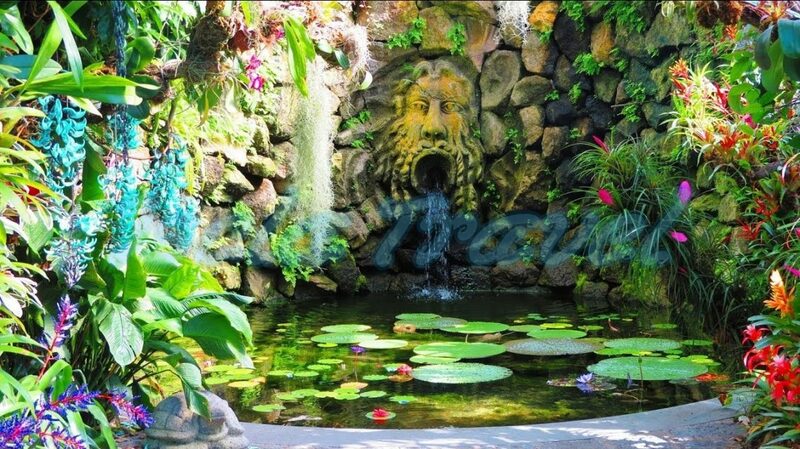 Do you want to visit "La Mortella Garden" during your holidays in Ischia? Contact us for all information.